Kerneels is an early career scientist at the North-West University (NWU), South Africa. He obtained his undergraduate degree in chemistry at the NWU in 2010. His postgraduate research focused on measurement and analyses of volatile organic carbons (VOCs), which include anthropogenic and biogenic, at a grazed savannah-grassland-agriculture landscape in South Africa. He is interested in the interactions and feedbacks between savannah-grassland-agriculture ecosystem and atmospheric chemistry. In addition, the reactive atmospheric chemistry of VOCs and their role in health, ozone and aerosols. However, he is also co-responsible for the maintenance and operation of the Welgegund station, which is likely the most comprehensively equipped long-term continuously operating atmospheric research station in the South African interior. Pallavi Saxena is an environmentalist from India, working in the area of “air pollution and plant health”. She completed her Ph.D from Department of Environmental Studies, University of Delhi in 2013 on “Effects of Photochemical Pollutants on Plant Species”. She is having more than 5 years working experience as Post Doctoral Research Fellow (2013-2014) and DST Fast Track Young Scientist (2014-2017) from Space and Atmospheric Sciences Division, Physical Research Laboratory, Ahmedabad and School of Environmental Sciences, Jawaharlal Nehru University, Delhi respectively. She has published 18 research papers in peer-reviewed and impact factor journals. She has been awarded various national and international awards and honours from agencies like BARC, Mumbai for best presenter in 2016, Young Scientist Award in 2013 from ICAR, Junagadh, Gujarat, OSPA Judge in AGU Meeting in 2015 and early career scientist travel and bursaries grants from WMO, IGAC, Juleich University, Cambridge University, Newton Fund Scholarships and NERC grants. She has also published one edited book in Springer in 2016 on “Plant Responses to Air Pollution” and two books are under process and one of them is in international collaboration with NOAA of international publishers. She is also a member Tropospheric Ozone Assessment Report (TOAR) committee and authored chapters in collaboration with international scientists all over the world which will be coming soon in reputed journal. She has also organized invited lectures during her tenure in Hindu College by eminent speakers on burning issues of environmental pollution. William explores questions related to air quality and climate, most recently focusing on identifying and comparing the meteorological drivers of extreme air quality episodes. By integrating chemical transport models with observations using novel applications of statistical methodologies, William works towards an improved understanding of the mechanisms behind pollutant formation and transport. Other topics of interest include the atmospheric impacts of anthropogenic land use change, the environmental consequences of energy policy decisions, and the ongoing improvement of earth system modeling. William received his Ph.D in physics from Portland State University, where he studied the atmospheric consequences of bioenergy crop cultivation, and is currently completing a postdoc in MIT’s Department of Civil and Engineering. When not analyzing model output, William enjoys reading statistics blogs, promoting science literacy through outreach education, singing karaoke, and throwing frisbees. 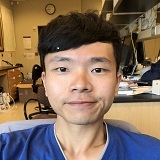 Ka Ming is a Ph.D. student in the Graduate Division of Earth and Atmospheric Sciences, The Chinese University of Hong Kong. His research focuses on simulating sustainable farming practices, e.g. intercropping, in models, including DeNitrification-DeComposition (DNDC) biogeochemical model and Community Land Model (CLM), to Investigative their beneficial effects on air quality and the environment, in particular, the global nitrogen cycle. He wishes someday his work can be transformed into real policies that could make a better world. Though Ka Ming is an adventurous geek who is very active on social network platforms, he is also a gym goer. He would like to devote his spare time to communicate with young scientists and, if needed, provide them with support and guidance. Ka Ming has been awarded a pre-doctoral visiting scholarship from Emory University, the USA, during Oct 2017 to March 2018. Gemma is a PhD student based at the University of Edinburgh and works with the Centre for Ecology & Hydrology and Forest Research. Gemma’s research focuses on the impacts of growing bioenergy feedstock on the biosphere-atmosphere exchange of trace gases (biogenic volatile organic compounds) within the UK. She is quantifying trace gas emissions from deciduous and conifer trees that are both native and non-native to the UK. She aims to better understand what impact land use change through the growth of Short Rotation Forests may have on air quality in the UK. When not out in the field taking measurements, Gemma enjoys exploring the hills of Scotland on her mountain bike or rock climbing with her friends. "Since finishing my meteorology studies in Hannover, Germany, in 2007, I have worked for a Governmental Scientific Project Management Agency, and I started my scientific work and life in the Brazilian Amazon in 2011. It is a pleasure to be looking at the interactions between atmosphere and biosphere in this very unique and beautiful ecosystem.